This .925 sterling silver necklace can be added to in the future when more kids or grandkids are added to the family. The price includes 1 free charm. You may also add non birthstone charms to this design. 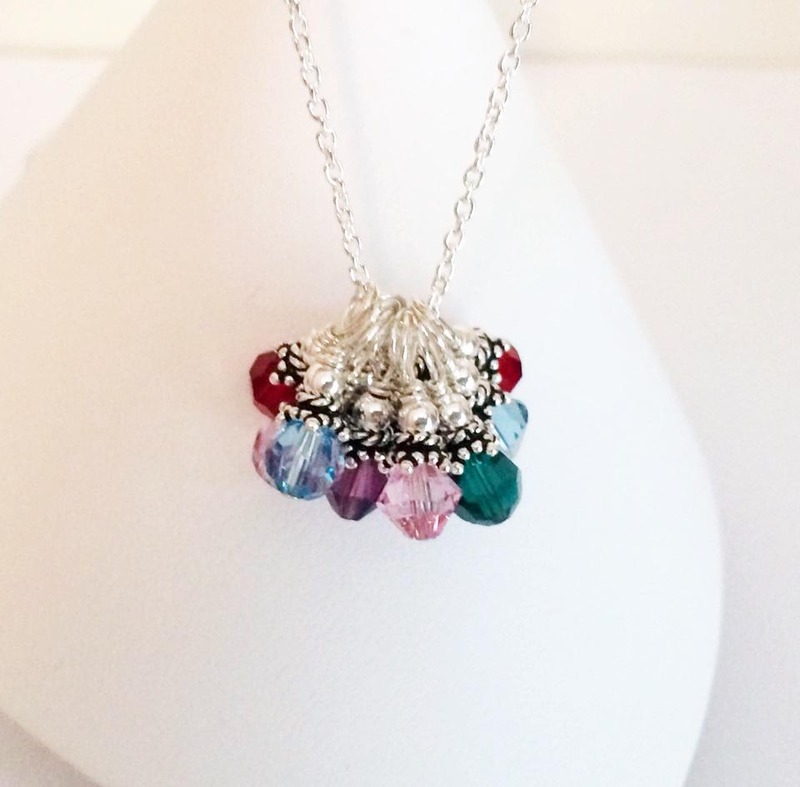 The Swarovski crystal birthstone charm come in 3 shapes (round and bicone and square too). This is a wonderful gift for moms and grandmas. It is especially good for grandma who has trouble with bracelet clasps. If you order a 24" or larger for your mom or grandma she should be able to put it on and off without having to do the clasp. You choose the length of the necklace and the number of charms you want to add to this necklace during the ordering process below. The base price is $29 a the necklace with 1 charm. You may add as many birthstone charms you wish! If you need more than 10 birthstones, awesome! Please contact me to place your order. 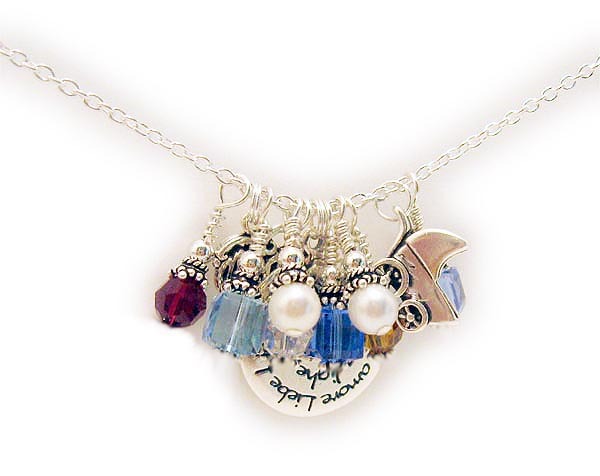 Swarovski Crystal Birthstone Necklace with lots of birthstones - round and bicone. 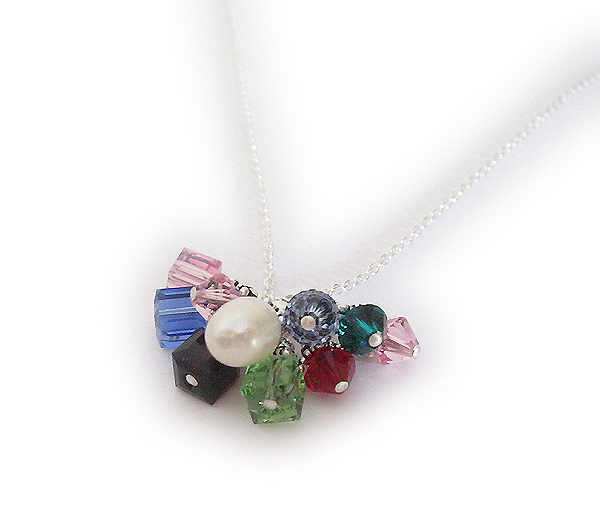 Swarovski Crystal Channel Birthstone Necklace shown with lots of square, round and bicone Swarovski crystals and pearls and a few sterling silver charms.